Polk County Central Dispatch was founded in 2003 as a joint operation of various agencies in Polk County. Previously when a 911 call came in it was routed to either the County dispatch center, the City of Bolivar Police Department, or Citizens Memorial Hospital's dispatch center. The center is governed by a board of directors representing the City of Bolivar, Citizens Memorial Hospital, Polk County Sheriff's Office, as well as the Polk County Commissioners office and the Polk County Fire & Rescue Training Association. Our center is open 24 hours a day, 7 days a week, at all times there is at least 2 dispatchers on duty, additional dispatchers are on duty during peak hours. We have a full time TAC officer who coordinates warrant validation through the Missouri State Highway Patrol. Our dispatchers do more than answer phones. Additionally they are responsible for dispatching various agencies, entering and maintaining warrants and criminal histories for law enforcement and judicial agencies in the county, as well as performing various other duties to assist as needed. In 2011 voters approved a 3/8 cent sales tax, replacing our previous funding mechanism and providing a more stable funding source. 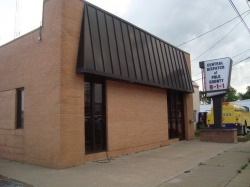 In the fall of 2012, our center moved to it's current location at 1705 S. Lillian Ave, Suite B in Bolivar, MO. This location has enabled us to expand to better serve our public by adding an additional 3 positions for a maximum of 6 telecommunicators working at any given time. We utilize Global Software Cad, a Zetron Radio interface, and Cassidian Patriot E-911 Phase 2 telephone systems.